These two calls in onUpdate will not recompute all their values on every call. Instead, they will conserve the old values and recalculate them every so often. // but it will be only recomputed once a day. // only be recalculated every 300 seconds. The declination will be recalculated daily. var c_sunlight, t_sunlight; // time in seconds of next update. Garmin empowers their watches by providing the Connect IQ SDK so that we can program our own apps, faces, etc. However, there's little documentation, and even almost no Open Source apps. So, let me publish (under GNU GPL v3.0) a watch face I wrote: Analog & Bars [source code | prg for vivoactive | Garmin store]. Maybe you can improve it and publish your own. Note on the Garmin Vivoactive device: It is a thin and comfortable watch designed for tracking sport activities and displaying some basic information. Do not expect anything similar to an Android operating system. It is very basic and very well optimized for its purposes. The battery lasts for weeks. The only drawback it might have is the bluetooth connection with your phone. I never managed to connect it to my own Galaxy Note 3 phone, which is among the supported ones (I factory reset it to make sure, plus it works with other bluetooth devices). The Garmin tech service was very patient but all they could say is they don't know why a supported phone doesn't work with it. I asked them what happens when Android phones get their OS updated: does Garmin check if the connection to that device continues to work? They don't. I have to say, my Garmin watch did connect to many other phones, including some which are not officially supported by Garmin. If your phone is an unlucky one, each time you charge it, it will transmit the tracking data to your Garmin account. Unless you only have Linux at home, for which Garmin does not provide support. The app may be available on the Garmin Connect Apps site, uploaded by myself or by someone else with their own modifications. I will not maintain it and I will not fix bugs, I will not add new functionalities, and I will not compile it for different devices. I tested it on Garmin Vivoactive. You should be able to compile it for other square watches but the background is stored as a PNG with the Vivoactive screen size . This should not be a big issue, as I provide Matlab/Octave code for generating the background image. It is transparent, which is pretty convenient if you want to display something behind the minute ticks. Just display the background in last place, as I do in my app. Due to the transparency, you may not see the white hour ticks. Fill a black rectangle of the size of the watch screen before you display it, and you'll see the hours and minutes ticks like in the app's screenshot on the top. They come with a text file indicating the coordinates of each character. Bitmap Font Generator is a freeware that generates them, recommended by Garmin's Connect IQ guide. My antivirus complained about it, but I believe that was a false positive. I was able to run it in Linux, with Wine. (I didn't try to run the Connect IQ SDK on Linux). Generate the bitmaps with 128x128 size. You don't need to smooth them, as the Garmin device will display only a few colors anyway. Generate their descriptor as a text file. Finally, don't forget to include the fonts in the resources.xml file of your project. I used the filter option because I don't use all the symbols. A good programming practice would have been to extract all the strings to the strings.xml file. It makes it easier to keep the app multilanguage. And here goes the code. I've zipped the whole project here: source code. By the way, code is code both in singular and plural. Unless you mean "access codes". // This app needs the Connect IQ SDK to be compiled. // It is designed for the Vivoactive watch by Garmin. // modify it and distribute it, as long as you keep it Free Software. // You may also acknowledge the original author if you feel like doing it. // This doesn't apply to the fonts and other resources. // make them public via the Garmin Forum. //! loading resources into memory. //! The user has just looked at their watch. Timers and animations may be started here. //! Terminate any active timers and prepare for slow updates. 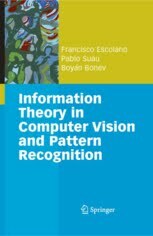 is a set of resources mainly related to Pattern Recognition. Regarding the title, see "In the end they will confess".